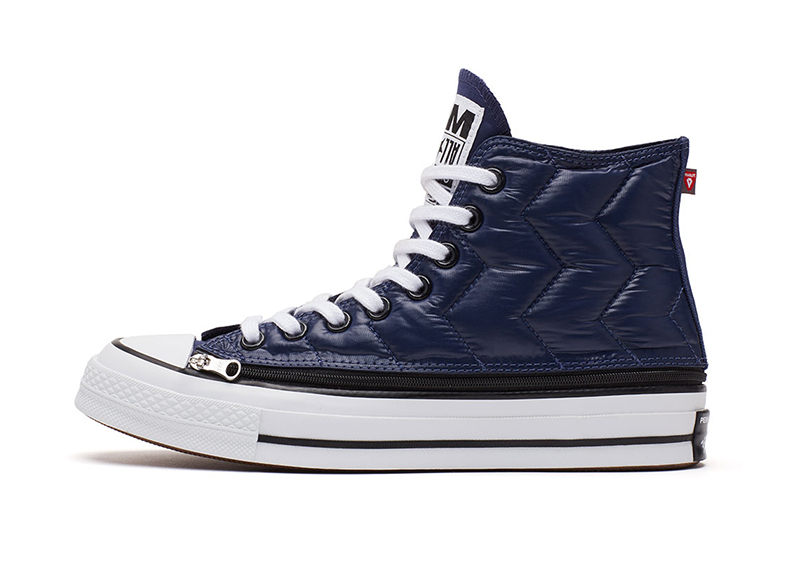 While we have seen footwear brands work with sneaker boutiques and fashion houses, it doesn’t stop there. 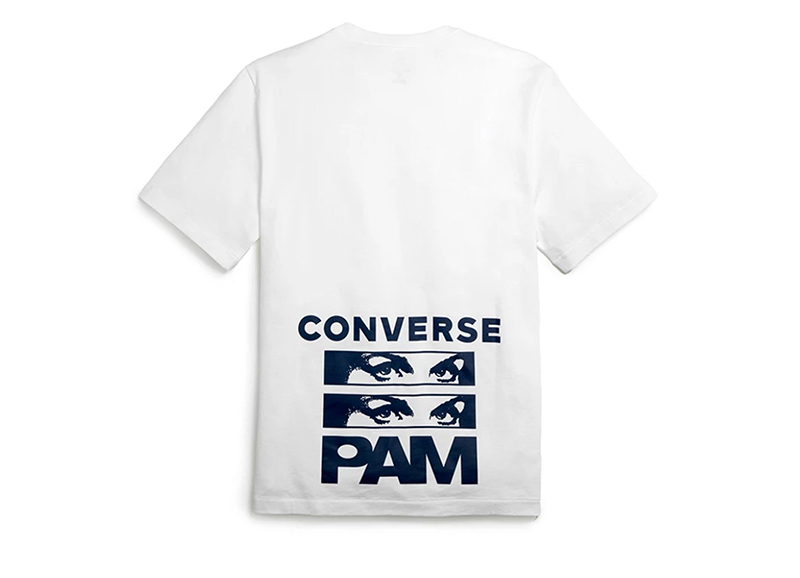 Recently, Converse got together with Paris-based fashion/lifestyle label Perks and Mini (P.A.M.) for their latest capsule collection. 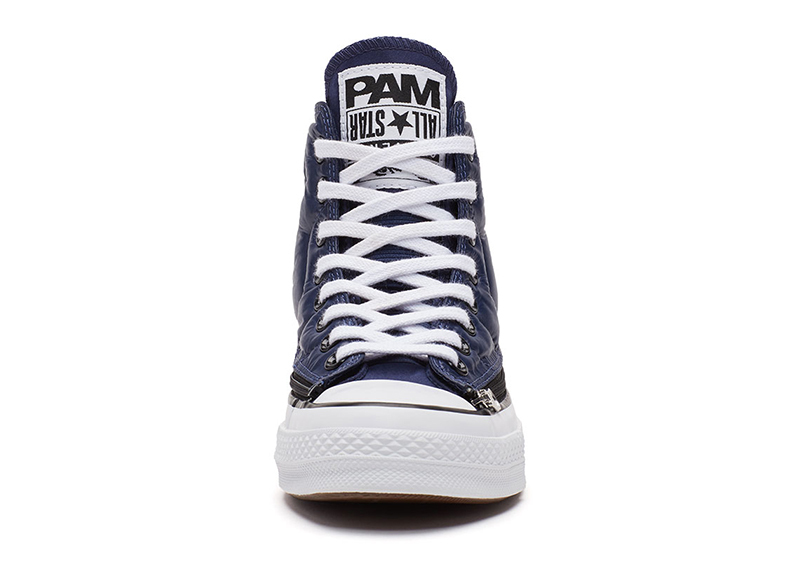 For those not too familiar with P.A.M., the brand was established in Melbourne, Australia back in 2000. 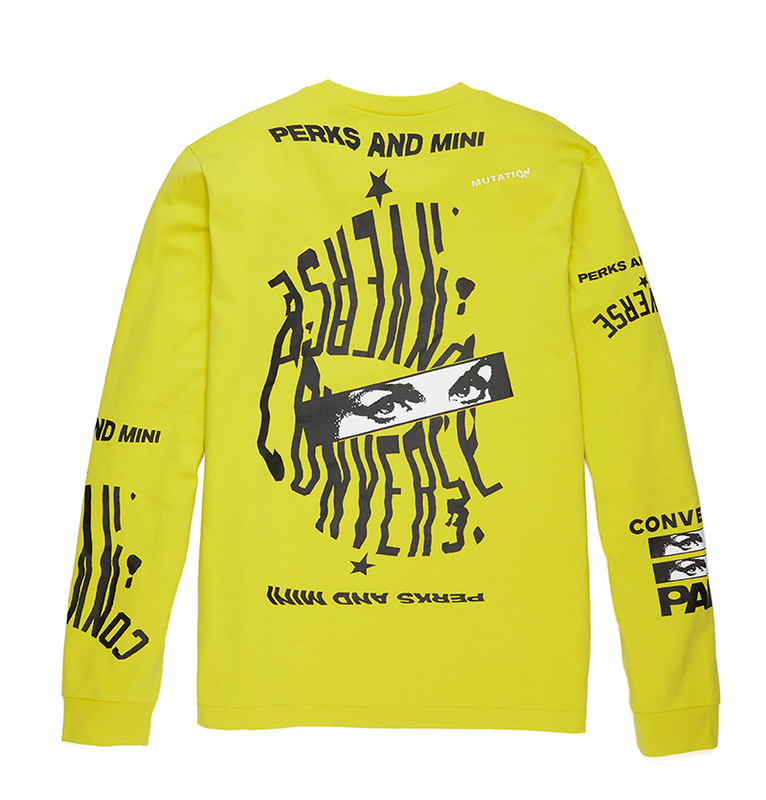 Known for their collaborative efforts and multi-disciplinary art/design collections, Perks and Mini has since been a staple in the art scene. 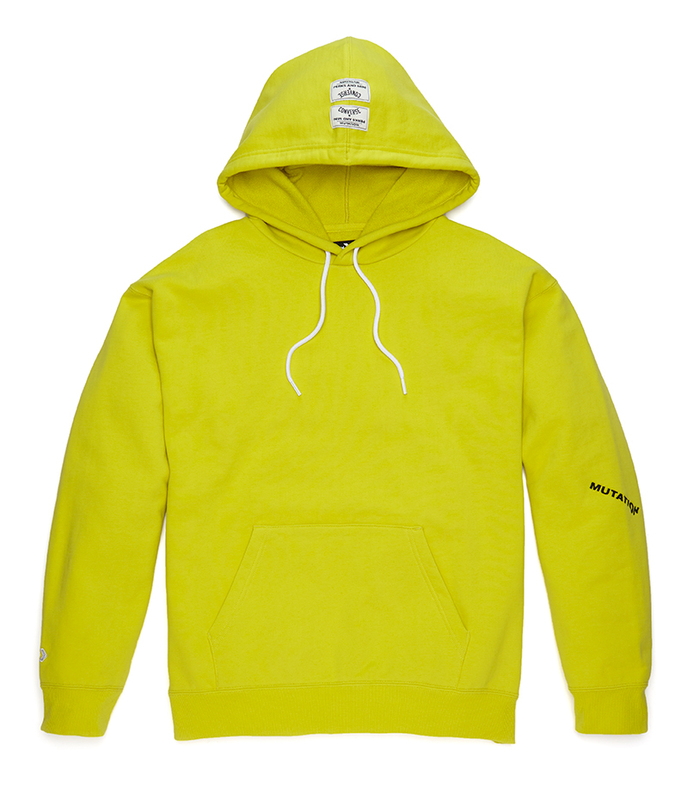 For this season’s collection, the two brands took inspiration from the consumer of the future. 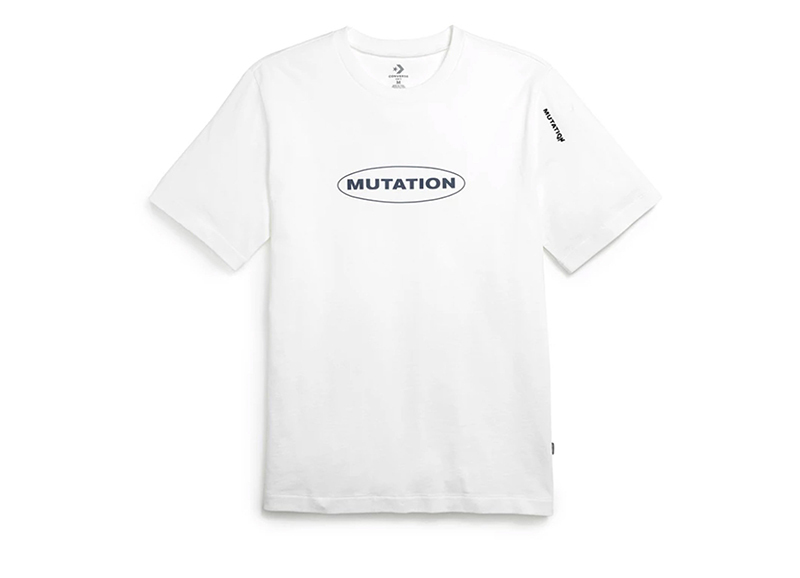 Drawn to the Chuck 70s no-nonsense persona, they tried to reimagine the silhouette through the idea of “mutation”. 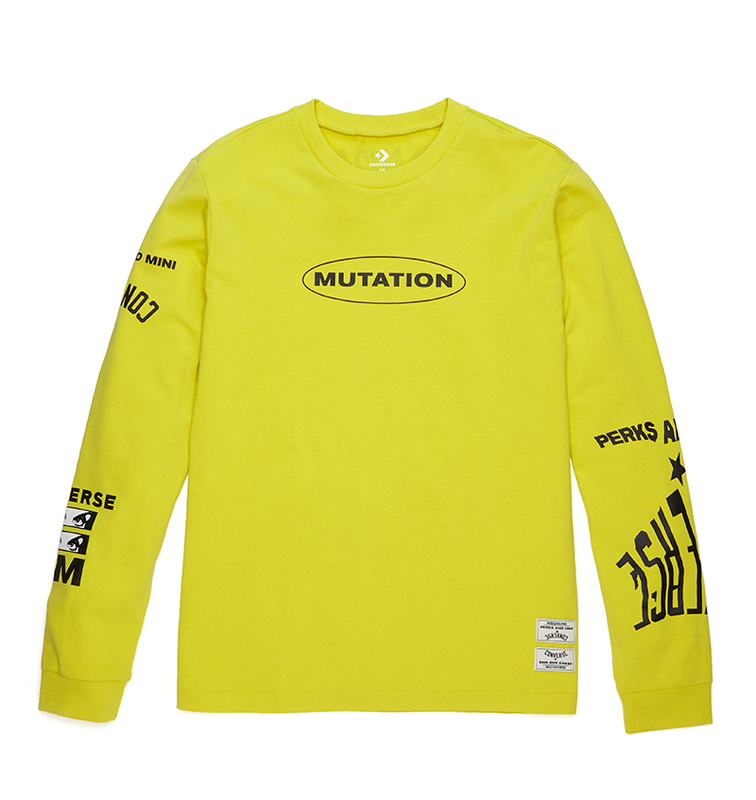 “Mutation is about evolution and the idea of what’s to come. What the future could be. It is not a rigid or singular way of thinking. It is an openness to movements, evolution, change. We must embrace what’s to come and adapt,” explains Hollenbach and Toohey. 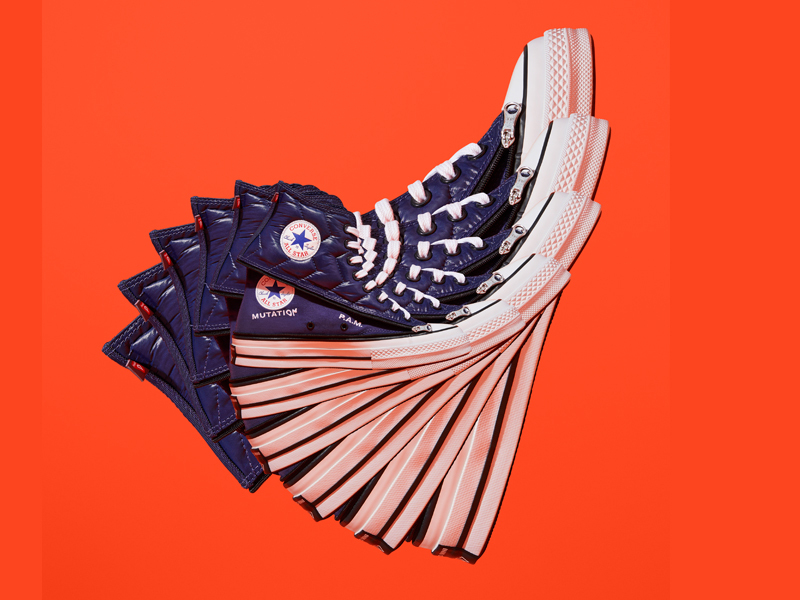 What better way to communicate that message than with the Chuck 70. Although not the best material for a tropical country like ours, They utilized PrimaLoft® – a thermal material developed by the US Army in the 80s for the shoe’s upper. 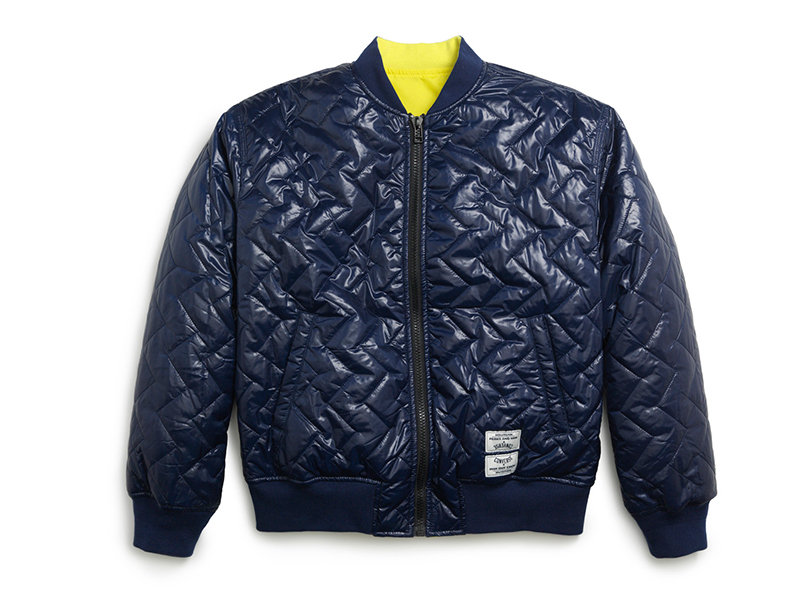 What works for us though is that the bubble-type jacket can be fully removed with a zipper, a nod to the style meets function proposition both brands embrace. 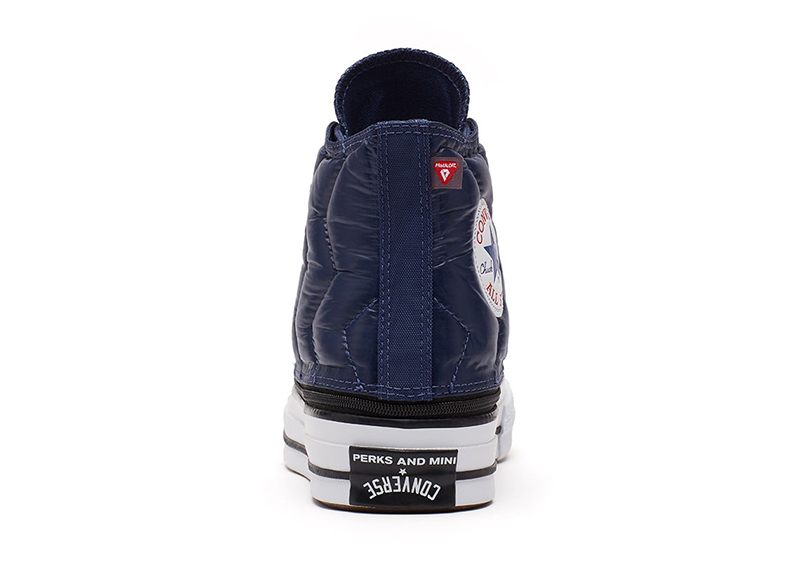 If you decide to remove the thick padded ‘jacket’, you’ll see a canvas slip-on Chuck 70 with a co-branded tongue patch and side panel detailing. 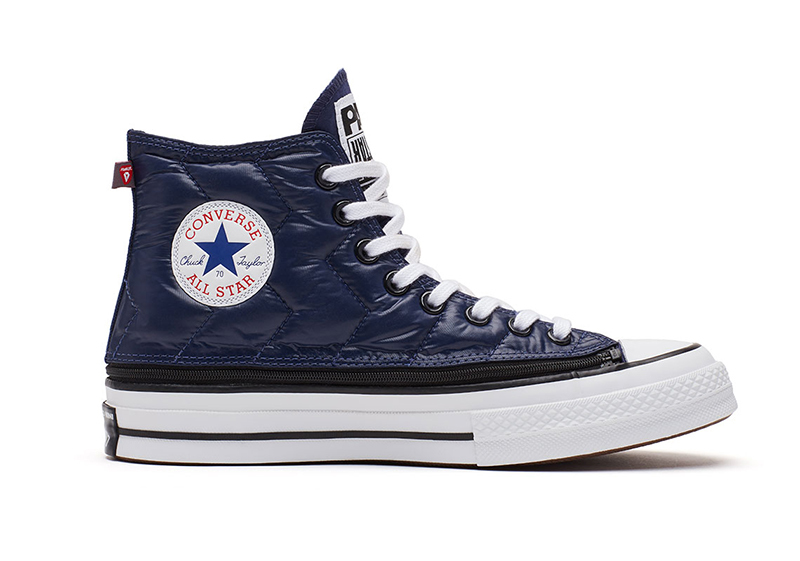 The Converse x P.A.M. Chuck 70 drops today, January 19, exclusively at Commonwealth Rockwell. 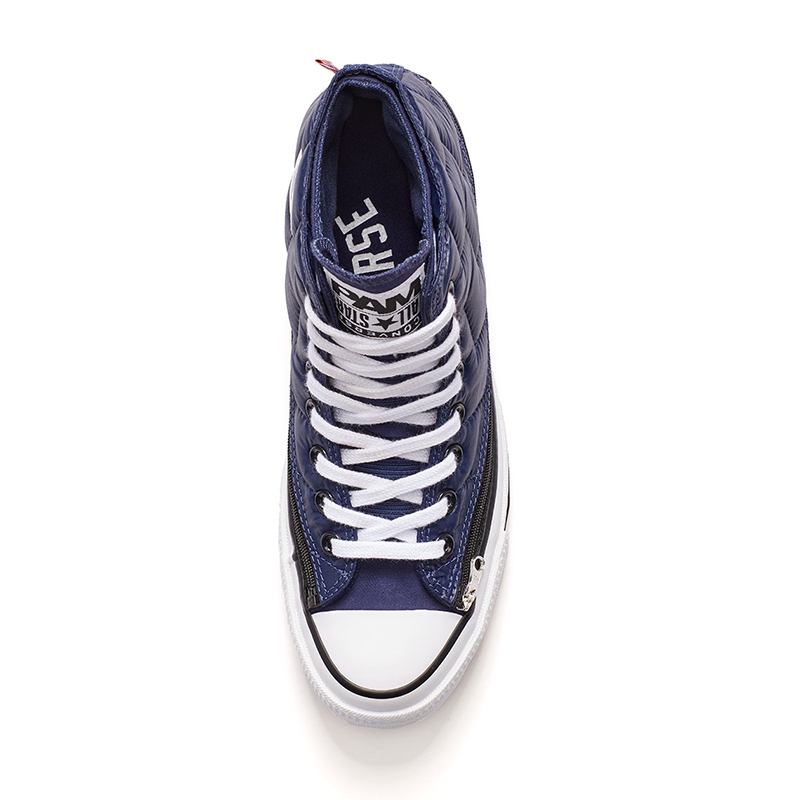 The Chuck 70 retails for Php 6,190. 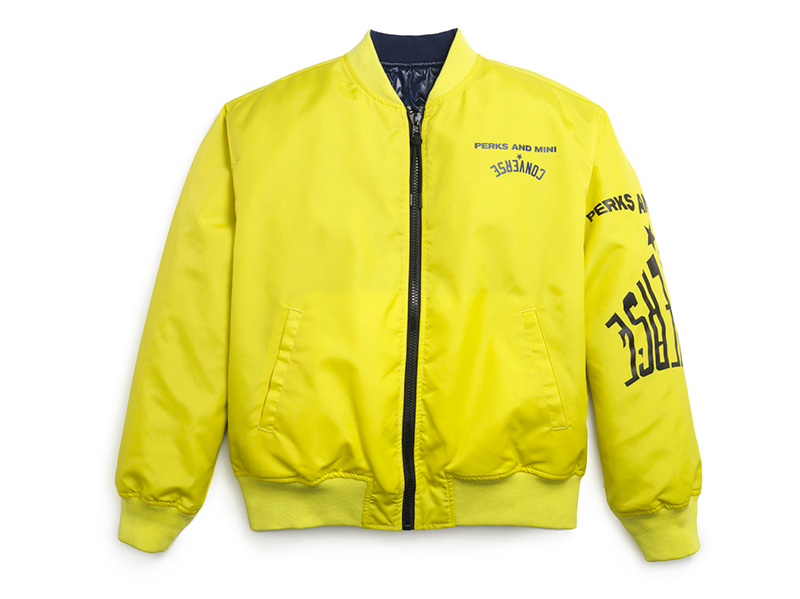 The collection also features a graphic tee (Php 1,559), long sleeve tee (Php 2,519), pullover hoodie (Php 4,719) and a reversible bomber jacket (Php 8,719).